vement, as the children of former FIRST team members begin taking up NXTs in Jr. FLL and FLL, and multiple generations of families are often involved in teams and tournament production. Many FIRST alum fully subscribe to the philosophy that FIRST is for Life! Florida FIRST Alumni was begun in earnest in 2013 by FIRST Alumni and long time volunteer, Barry Bohnsack, whose own FIRST experience resulted in a career track that involves him directly with the NASA space program. Today the group has a robust Twitter group, a professional LinkedIn group and plans for additional social media and networking resources for professional and personal achievement as well as for providing continued mentoring and support services to next generation FIRST students. • must have some connection to Florida (currently live in, work in, attend college in, or were on Florida team when you were in school). 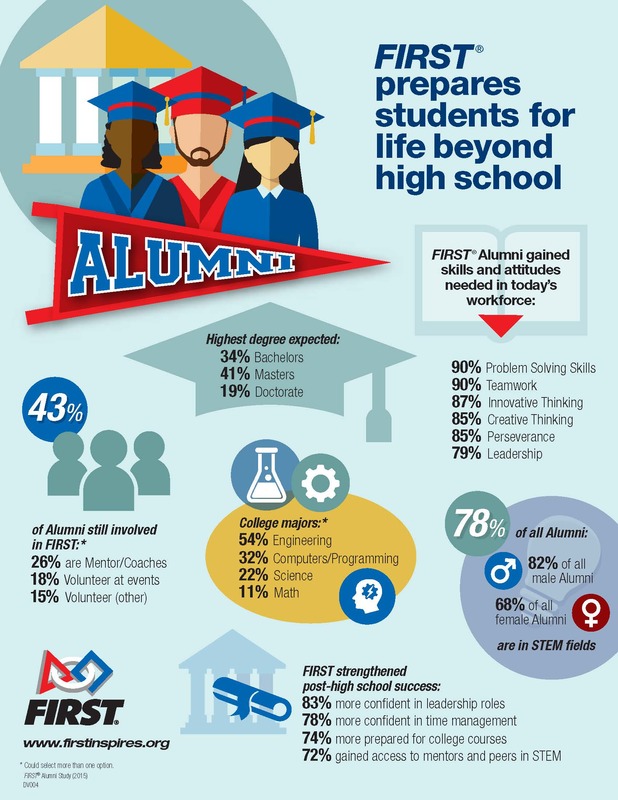 Why Join Florida FIRST Alumni? Fill out our online form and then send an e-mail to FloridaFIRSTalumni@gmail.com. You will receive an automated e-mail with information of who to contact in your area, or on your campus, for local activities.